The precision booms are our most popular model of spray boom due to their accuracy and exceptional performance. 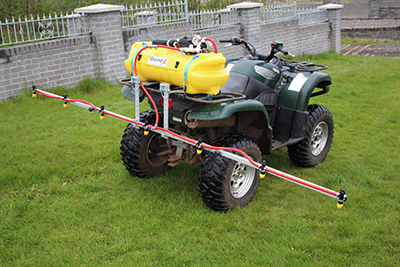 Superior to the Wide Spray models, these booms are equipped with precision nozzles for more accurate spraying. 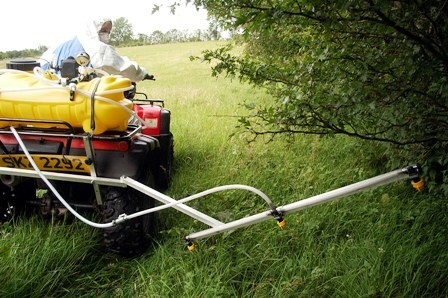 Equipped with Anti-Drip Nozzles for accurate spraying and no drips in most weather conditions. They are designed with the nozzle spraying downwards and spraying larger droplets, which are less likely to be affected by the wind. Each Spray nozzle has it’s own filter. ALL Compliant with the NEW Spraying Regulations! !